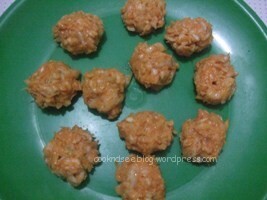 1.Soak the Bengal gram in the water for 1 hour. 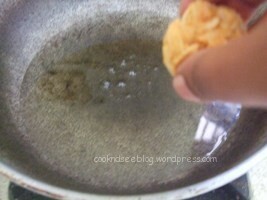 2.After 1 hour drain the water, grind the dal(paruppu) to a coarse paste along with fennel seeds without adding water. 3.Add cabbage,onion, green chillies,curry leaves,coriander leaves and hing to the grounded dal batter. 4.Mix well and add salt. 5.Heat the oil in the pan, take a small amount of mixture ,make it into the shape of vadai and drop carefully it into the hot oil. 6.Repeat it for remaining batter. 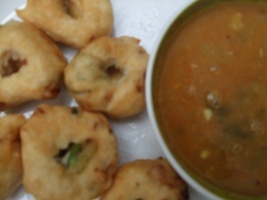 7.Fry the vadai in medium flame.fry also the other side of the vadai. 8.When the colour changes to light brown ,remove from the oil. 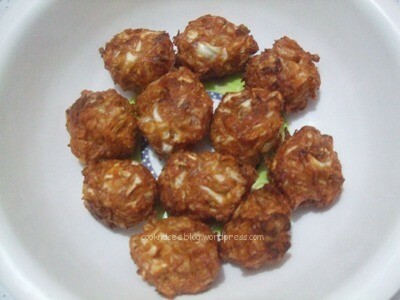 9.Now cabbage vadai is ready for serving. 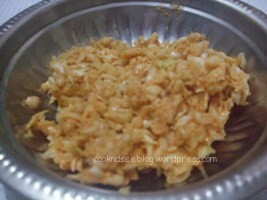 1.Instead of preparing the batter,if you have baji-bonda mix in your home, you can add that mix to the cabbage. 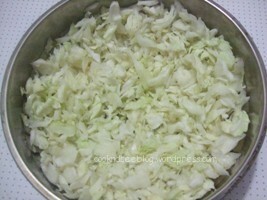 2.Mix well without adding water(water present in the cabbage is enough). 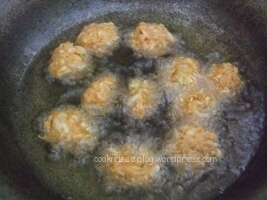 3.Make small balls out of that batter ,fry and now your cabbage vadai is ready.